Protect your tennis court from foot traffic and the weather! Lightweight for easy installation and removal, yet durable to stand up to inclement weather and activity during non-tennis events. Protect your court from the elements and traffic! 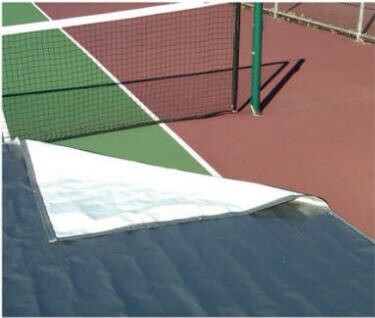 FieldSaver® waterproof tennis court covers will protect your court from foot traffic and the weather. A covered tennis court can be easily made ready for practices and matches. FieldSaver covers are lightweight for easy installation and removal, yet durable to stand up to inclement weather and activity during non-tennis events. 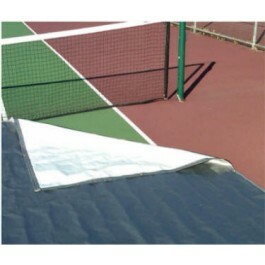 Our tennis court covering is designed to overlap at the net line.